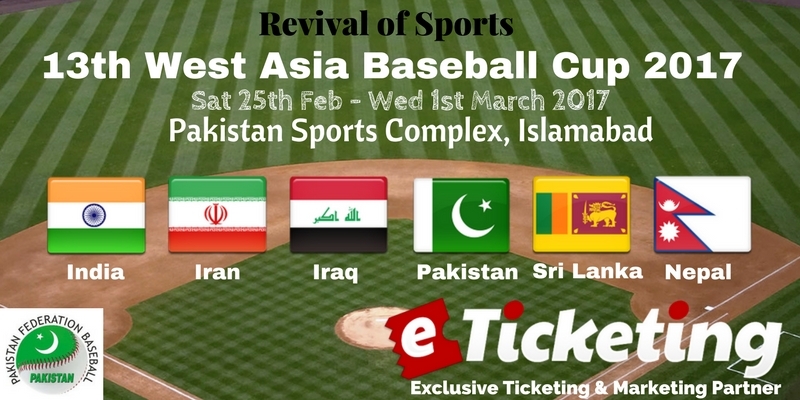 Stay tuned for upcoming events for West Asia Baseball Cup in near future. The Baseball Federation of Asia is the governing body of the sport of baseball in Asia. The federation is governed by the International Baseball Federation. The birth of Baseball Federation of Asia goes back to 1954 when the 2nd Asian Games was held in Manila, the Philippines. Four countries/regions such as Korea, Japan, Taiwan, and the Philippines organized a committee aiming at establishing Baseball Federation of Asia, and May 7th of the same year witnessed the commencement of BFA. American expatriate Charles Chick Parsons of the Philippines was elected as the first president of Baseball Federation of Asia. The total number of BFA members at the present time is 24, and 1 non-member observer State (Vietnam). Baseball game was introduced by Khawar Shah in 1992 in Pakistan.The Election of Pakistan Federation Baseball were also held in 1992 and Federation started functioning in 1992 at low key.In the same year the first National Baseball Championship was also held which was participated by the teams from Pakistan WAPDA, RAIWAY ,ISLAMABAD,BALOCHISTAN, NWFP, SINDH, PUNJAB BLUE and PUNJAB WHITE. Later on, PAKISTAN ARMY and PAKISTAN POLICE also join the race and become one of major promoters of this game. In 1999 Mr. shukat Javed elected president and Khawar Shah again elected as secretary general of Pakistan Federation Baseball . The Federation started expanding the game aggressively and then every year it is holding a National Championship, Inter provincial, Inter Departmental, , It is also holding a National women Baseball Championship for last six year. Terms & Conditions : All sales are final. No refund, cancellation or exchange is possible once tickets purchased. Best Viewed at 1024 x 768 pixels and above. This Page loaded in 0.04776 seconds on Tue, Apr 23, 2019 (21:34).